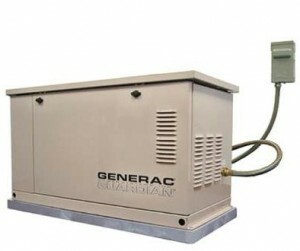 Wiring Solutions is a dealer for Generac and Cummins standby generators for both Residential and Commercial use. We have installed the smallest 7KW home units to larger 150KW units meant to run larger businesses. The cost of a standby generator for your home or business has dropped considerably from just a few years ago. Being without electricity for even a short period can cost you many times what the price of a generator is. The payback period is generally the first extended outage. Consider all the food in your refrigerator and freezer, coupled with the lost time and resources relocating your family during an extended outage. An average generator connected to natural gas will cost around $15 to $25 per 24 hour run cycle. Compare this to displacing your family in a hotel, eating meals out, and being away from your home when it is most vulnerable. On the business front, what will you do during an extended outage? Sending employees home because there are no lights, computers, or climate control is the only option. The lost business will pay for a generator many times over in most cases. It is not just a tornado that can cause an extended outage. During the ice storm of 2009 Wiring Solutions at our office ran on generator power for three days while OG&E worked to get power restored. Couple that with car accidents that involve power poles that may feed your area, infrastructure deterioration and repairs, and anything else that could go wrong with the main lines, and you will begin to consider an emergency generator as a necessity and not just a luxury. Call our offices at 405-476-9473 to learn other ways a generator can benefit your home or business.